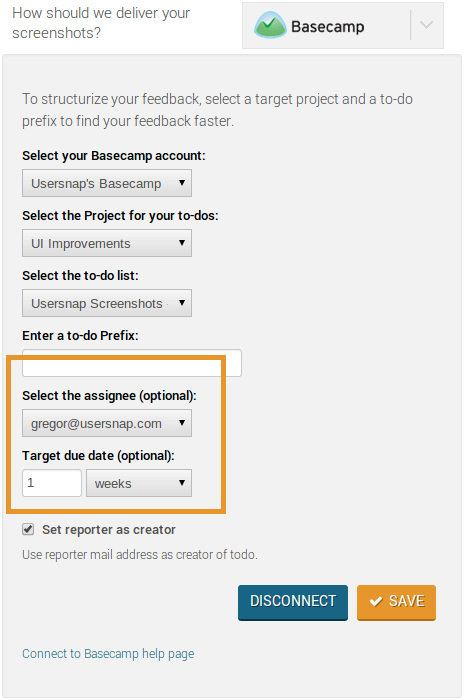 A further improvement for Basecamp is the ability to set a default assignee to a todo. Jason Lemieux finds this useful to guarantee that those todos get processed. We also enabled you to set a due date to generated todos. Target dates can be chosen from days, weeks or months from todo creation. As you can see, your feedback is taken seriously and implemented if there’s a good potential to be useful for other customers. Don’t hesitate to send us additional feedback to existing or non-existing functions regarding our integrations. We produce great content often. Follow us on twitter and sign-up using the form on the right to get valuable and hand-picked news on everything web that makes you а better professional. No blah blah’s guaranteed.